Patron Driven Acquisition from the R2 Digital Library is a collection development tool that enables libraries to evaluate patron usage data at the resource level with no automatic or required purchases. With an intuitive workflow for administrators and easy integration into the user experience, Patron Driven Acquisition on the R2 Digital Library is a valuable service to ensure a library purchases the health sciences resources of most interest to their patrons. Patron Driven Acquisition can be integrated into any active collection or used to establish an R2 Digital Library account. 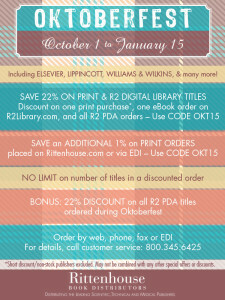 PDA on the R2 Digital Library gives you complete control of your collection and never auto-purchases resources. Activate your PDA collection by logging in to R2Library.com with your administrator credentials and selecting the “Add to My PDA Collection” button next to any R2 Digital Library resource not currently within your collection. 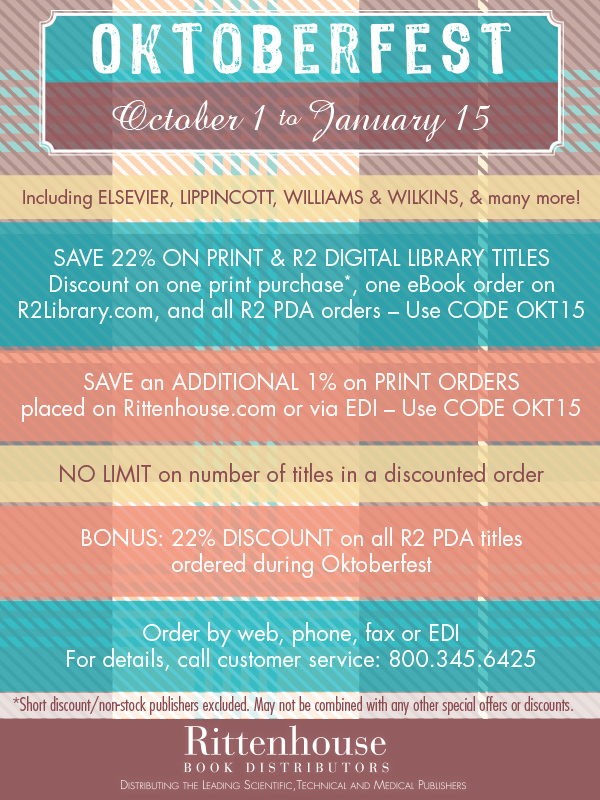 If you do not have an active R2 Digital Library account, please contact your Rittenhouse Sales Representative to begin a free 30-day trial. Once on trial, you can easily activate your R2 Digital Library PDA collection by selecting the “Add to My PDA Collection” button on any active resource. This entry was posted on Monday, October 5th, 2015 at 7:34 pm	and is filed under Group Purchasing and Discounts. You can follow any responses to this entry through the RSS 2.0 feed. You can leave a response, or trackback from your own site.